Size of this preview: 800 × 471 pixels. 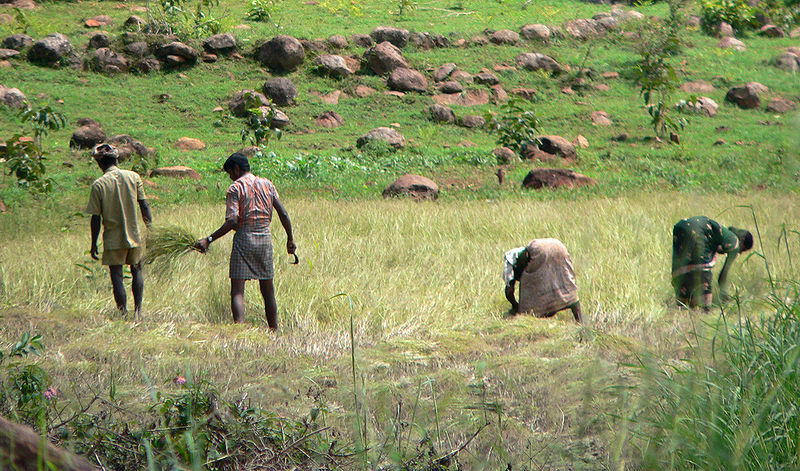 Farmers harvesting paddy near Vellore, Tamil Nadu, India. This image, originally posted to Flickr, was reviewed on 28 January 2007 by the administrator or reviewer GeorgHH, who confirmed that it was available on Flickr under the stated license on that date.